Need a corporate website or do you want to implement your e-commerce ideas? Our team of web designers offers high quality web design, professional web application and e-commerce solutions. We make both standard websites and fully customized sites. For our standard website we use WordPress, a very popular CMS ( content management system) which allows you to maintain your website anytime and anywhere. 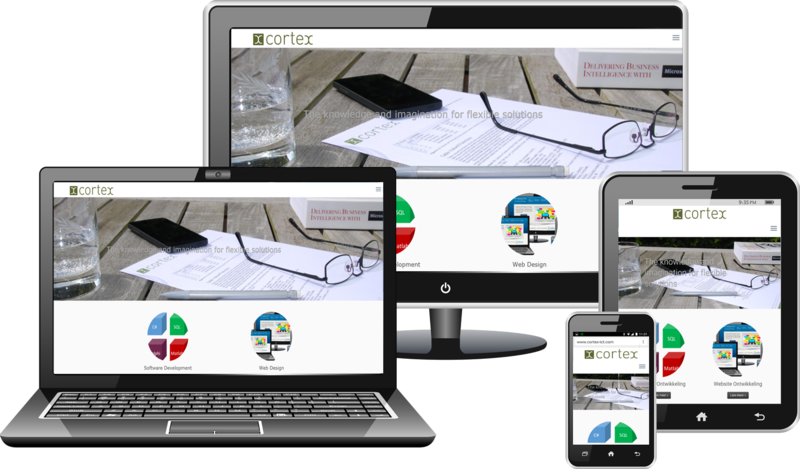 We make sure that your web site will not only look good on a computer but also on tablets and smartphones. It is important to have a professional web site. It is at least equally important, however, that your company is found by your potential customers. You can contact us and ask our internet marketeers to analyse your web site and let them determine a strategie that allows you to obtain a top ranking in the search engines. Do you need an online payment system or do you want to start your own web shop? Our payment system can be easily integrated in your web site and allows your customers to pay for their purchases with their preferred method of payment. Contact us and let’s have a look at how we can assist to grow your (online) business.